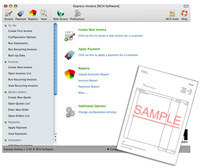 Express invoice free invoicing is invoicing software for mac. Manage client accounts, quotes, orders, billing, invoicing applying payments and much more. Make your business excel with an online console so multiple users can create invoices, reports and apply billing payments from their web browser. Express invoice allows you to create templates of recurring invoices for ongoing services and link to credit card gateways to easily process payments for goods and services. Express invoice also includes a number of standard reports such as unpaid accounts, payments, sales person, accounting and billing reports. With express invoice professional you can create the perfect invoices that will impress. 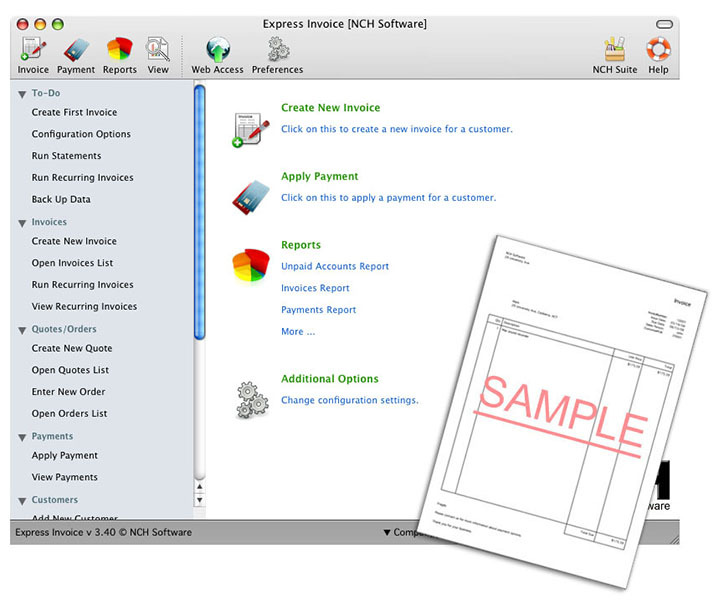 Express Invoice Free Invoicing Software for Mac is a business program that works under . It is Free so you can download it and share it with your friends. Estimated download time for Express Invoice Free Invoicing Software for Mac on a common adsl connection is less than a minute. Version 5.05 was released five hundred twelve days ago by NCH Software. Click the green download button to download it now.